With speakers and attendees such as David Icke, Ron Paul and Doug Casey, Anarchapulco was set to be an interesting few days. LODE secured a prime booth with high quality banners, where silver enthusiasts could get information direct from the Syscoin founders on how the cryptographic backing of LODE currency works. AGX Pay was demonstrated and tested on attendees passing by and live streams were broadcasted to both communities. 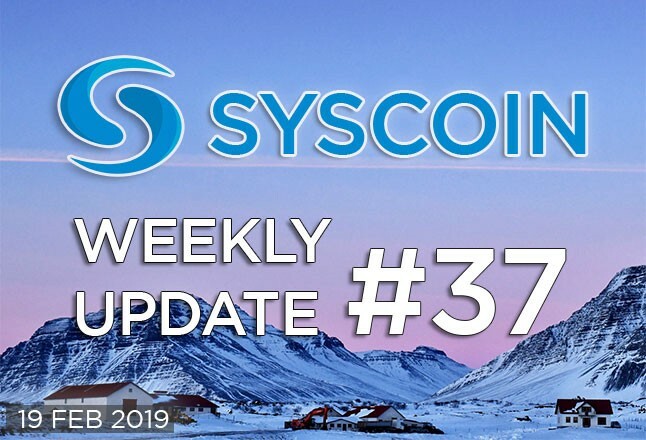 The Syscoin community is proud to see the LODE silver community get off to a good start on Syscoin Platform, and we can’t wait to boost LODE adoption even further with the upcoming Syscoin 4 release! AGX became the second Syscoin asset to be listed on CoinPayments, now joining the host’s CPS token. 0MQ support is included in Syscoin Core. In this Syscoin Community Developers Tutorial, community dev bstr156 shows the basics of using 0MQ messaging with Syscoin and Node.js. This can serve as the basis for real-time blockchain applications, especially with 0MQ working between Syscoin’s high-throughput ZDAG network and an application server providing push notifications to end user clients. Q: Dan, we’ve heard Syscoin 4 design is based in some part on requirements/needs of enterprises BCF has interacted with (or at least that’s my understanding!). Have any enterprises, institutions, or other parties expressed inclination to adopt Syscoin 4 if it fulfills those needs? If so, can you tell us anything about them generally w/o violating NDA type stuff? A: Good question — we honestly only validated that our SYS4 assumptions would work after these client engagements and so while we do have clients that will be leveraging its capabilities, the ones we missed out on weren’t aware of it because it didn’t exist. Q: Hello Dan! Are there any updates regarding cooperation with Bahamas, Mongolia, USA governments? And are there any projects that are interested to use SYS chain after bridge is activated? A: We are making progress with Mongolia but they haven’t signed anything yet, Bahamas we are awaiting feedback still. Lode/AGX will likely make use of the bridge when 4 launches, but we are still validating that a smart contract is the most cost effective way to do what they want to do on that side of things. Q: Hey, after the updates regarding SYS4/SYSx, lode agx etc any chance of letting us know how far off the fiat onramp is and where you see SYS in 18 months relative to the the other crypto platforms. A: SYS4 stuff continues to progress, we are working towards a public testnet. Lode is on SYS3 at the moment, and will be on 4 when it rolls out.